Every Sunday morning from 9:30-10:30am, adults have an opportunity to grow in faith by learning about God’s love and grace. We ascribe to the communal aspect of learning and transformation through meaningful relationships. Our 2018-2019 theme for spiritual formation is the evolution of our faith throughout our lives. Throughout life we grow. Our bodies grow and change. Our minds change — we know more and more (and forget more and more), and we think differently as we appreciate complexity and nuance. 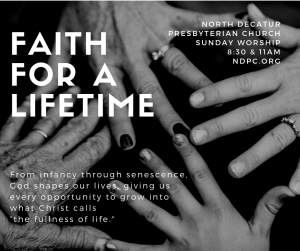 This year at NDPC, our theme is “Faith for a Lifetime.” Throughout this year in worship and education, we will explore the blessings and challenges of faith at every age and stage of life. Together we are learning and living a faith that sustains us for a lifetime…and beyond. Our Spring Catalog for Adult Education Offerings can be found here. Who was Jesus? Why does he continue to inspire and mystify us thousands of years later? This class will draw on the work of the premier historical Jesus scholar, John Dominic Crossan as he examines the cultural setting, historical records, and interprets differences among texts. The class will be reading and discussing Jesus – A Revolutionary Biography (1994). We will begin April 7 with Crossan’s description of his approach to understanding what actually happened in Galilee and Jerusalem during the early first century. We will then take close look at the evidence supporting the revolutionary lifestyle of Jesus, with its emphasis on free healing and open eating without regard to social class or status.We are ordering books for this session – please contact Mike Nichols ([email protected]) if you would like the book for this class or need further information. Our Lenten journey affirms that there is brokenness and beauty in all humanity and creation. We invite you to connect more deeply to this reality through intentional practice. In this four-week course we will venture deeper into the Lenten story: the Passion Narrative – the portions of the gospels that relate Jesus’ arrest, trials and death – for the meaning it brings to our life of faith. Here are some resources for reflection. Dates: March 10, 17 and 24. For all its amazing joys and gifts, parenthood can often be challenging and quite frankly humbling. How many of us have felt lost, insecure, and even guilty when it comes to our own parenting choices? 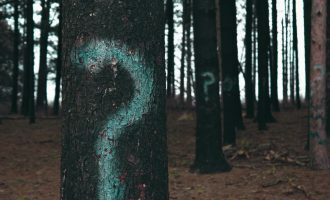 In this class, we’ll explore what it means to bear the whole load of parenthood – the struggles as well as joys, the questions and doubts as well as the know-how, the utter failures as well as successes. We’ll seek a more gentle and gracious narrative to apply to ourselves as parents, seeking to recognize how God is present and working in the holy thick of it all. Come join us to share the load and find some relief for your weary parent souls! 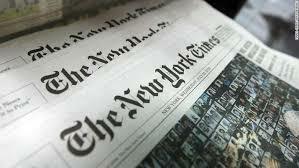 Join us as we engage breaking news with scripture and hope through the national curriculum “The Wired Word.” This ongoing discussion class will explore a current news story each week through the lens of a relevant scripture text and the insights of the group. Join us to become a community of regulars — or drop in whenever you can! Every Sunday in January, February and March. Are you visiting NDPC? Would you like to learn more about this church, who we are as Presbyterians (PCUSA) and what we we are doing? We try to follow Jesus by doing justice, loving mercy and walking humbly with God. Let’s get to know one another and talk about how we at NDPC approach this ancient call and how you can be part of our journey. Dates: March 3, 10 and 17, 2019. You’ve seen God work through the hands of others to serve food or fold laundry for our neighbors, but did you know God can work through our hands to do good in this world while we craft? 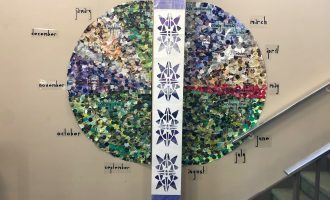 Join us for two distinct flavors of crafting— ‘Craftivism’ and Liturgical Arts—on Tuesday evenings. Activism has never looked so beautiful.